Wahooo! Waterpark in Bahrain is the Middle East's first ever indoor-outdoor waterpark. Covering an area of 15,000 square metres, with 70% of the pool deck area planned indoors and 30% outdoors Wahooo! includes a range of water attractions including Flowrider, the world's first full-size surfing machine within an indoor waterpark and first class amenities such as a restaurant, large party rooms and a retail outlet. Sofitel London Heathrow is one of the largest conference hotels in the UK, owned and operated by Arora International Hotels. The 605 room hotel is the only luxury hotel at the Heathrow’s £4billion Terminal 5. 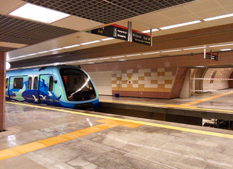 A rapid transit underground transit system that serves the city of Istanbul, the Metro opened in 1989. Currently serving the European and Asian sides of Istanbul, the Metro has 65 stations and 30 more under construction. Established in 1832, Durham is one of the oldest UK Universities. Long recognised as an alternative to Oxbridge, Durham still follows the collegiate format with 16 colleges based in three different locations; the city centre of Durham, Stockton and Ushaw College, a former Catholic seminary. Landmark buildings owned by the University include Durham Castle, Abbey House and many others in the historic city centre. Ziraat Bankasi, one of Turkey’s oldest and largest banks is being protected by an intelligent, hybrid fire alarm system from Advanced Electronics. One of the first banks in Turkey, Ziraat Bankasi, was formed in 1863 originally to serve Turkey’s agricultural industry. It now has 1,434 branches worldwide, offering financial services and banking across consumer, corporate, investment and private banking. Home to Fulham FC since 1896, Craven Cottage is one of the most intimate and quirk stadiums in the Premier League. With a capacity of 25,700, it is located on the banks of the River Thames. The Johnny Haynes Stands and the Pavilion, both dating back to 1905, are Grade 2 listed buildings. Since 2003 the ground has been subject to an £8 million phased programme of refurbishment, with more improvements planned under new owner, Shahid Khan. Broadway House is a three-storey private members clubs situated in the heart of Fulham in the UK capital London. With two bars, a restaurant and a roof terrace for use by its members, it offers members a quiet ambience during the day but livens up in evening making it a place for members to party. Situated on the edge of an aqua oasis, this 40,000sqm hotel is a popular destination for water sports, beach activities and safari vacations. 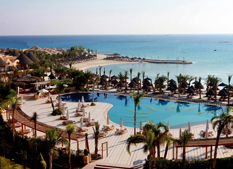 As well as a luxurious beach the complex offer numerous restaurants and spa and fitness services to its guests.